This fly mask has a long lasting and comfortable design to help protect from flies and sun rays. This mask give effective barrier from flies and sun rays and also screens out up to 70% of harmful UV rays. The design ensures a comfortable fit over the horses head giving excellent clearance for the eyes and eyelashes. The soft padding on the brown and nose band prevents rubbing. The adjustable fastenings behind the ears and under the cheeks guarantees the perfect fit for all horses. 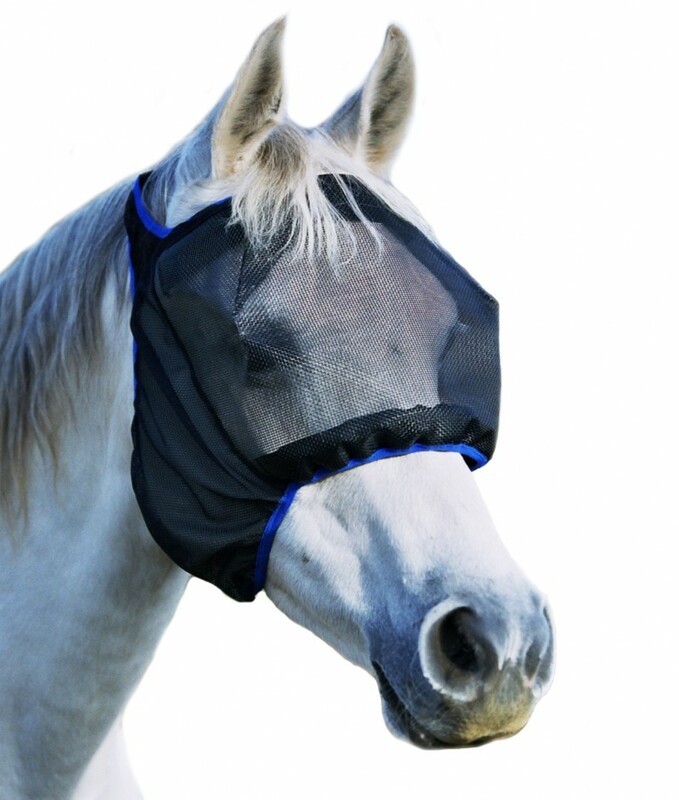 This mask is ideal for horses that are required to wear a face mask for long periods of time due to eye problems.